Without natural resources, our world would be a very different place. 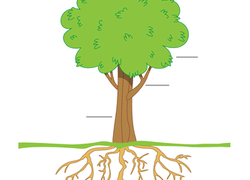 Help your class understand the importance of water, plants, and soil with this exploratory science lesson. This printable will help your child with her observation skills by challenging her to count the tree rings to determine their ages. Test your preschooler's knowledge of plant life--more specifically, trees--with this colorful, cut-and-paste tree chart. Shape up your knowledge of living things with this plant sorting soirÃe! 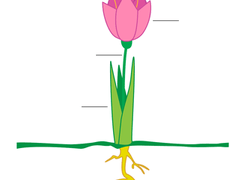 Your kid will build observational skills by describing the attributes of each plant. 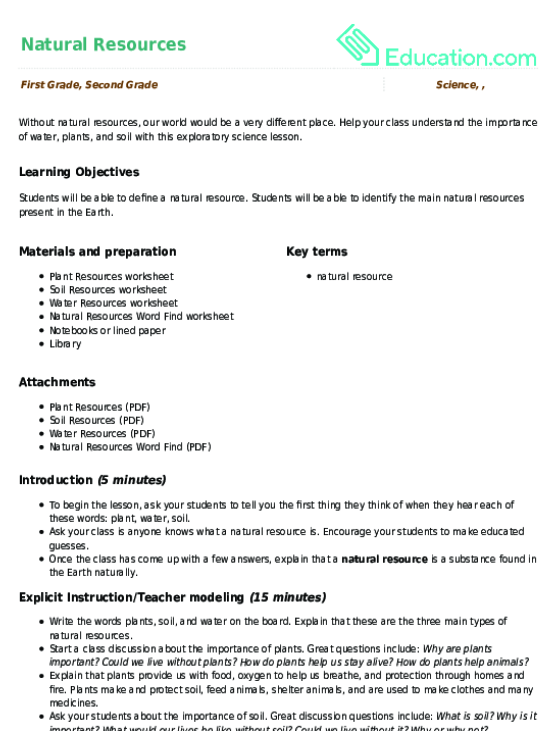 Little botanists will enjoy planting their own garden with this earth science worksheet! She'll colour, cut, and plant her own fruits with this fun activity. 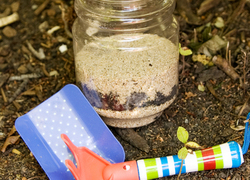 Explore the great outdoors with your little learner, and embark on a fun outdoor scavenger hunt! Learn to pay close attention to detail with this close-up observation worksheet! Not all leaves are shaped the same. Discover the difference between palm and elm leaves as you match each leaf to its tree. Which leaf shape is your favorite? Can you figure out how to match each leaf to its correct tree? Just cut out the leaves, glue them to the trees and then pick your favorite! Have you ever seen a willow or a walnut tree? These big trees have very differently shaped leaves. Can you match each leaf with its correct tree? Believe it or not, pine trees and ginko trees have different shaped leaves. See the shapes for yourself and match each leaf to its correct tree. Did you know you can identify a tree by its leaves? Discover the different shapes and shades of maple and oak leaves as you match each one to the correct tree. It's a rare kid who doesn't like a sandbox. Next time you're out digging, build in some earth science, too. Learning about how plants grow is a building block in the reception curriculum. 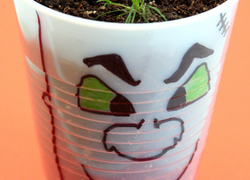 Put a fun twist on this science concept with these cup pets. 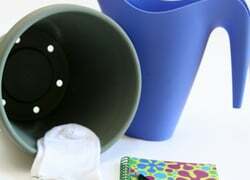 In this activity, your kid has your permission to get his socks nice and filthy. In fact, it's a necessity, because those socks are going to make a garden. 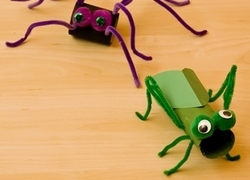 Reuse and recycle cardboard tubes to make spooky spiders, kooky caterpillars, wacky worms, and more. 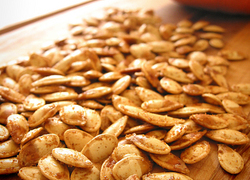 Roasting pumpkin seeds makes for a great Halloween activity, and a healthy snack! 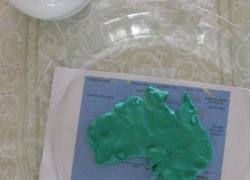 This slightly messy, but tons-of-fun tactile activity will cement the idea of the land and water as pictured on maps in your young learner's mind. Help your young learner discover why the insects that a spider eats stick to its web but the spider doesnÃt.